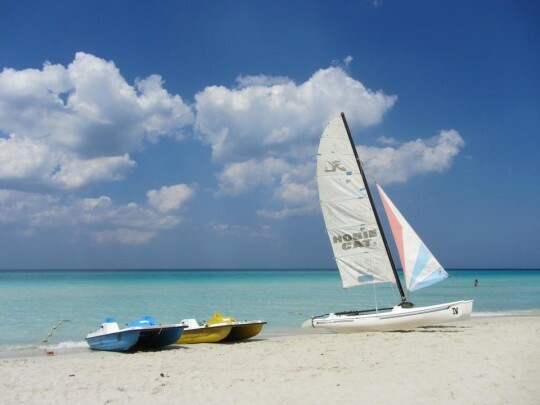 You are here: Home / Lifestyle / Spring Break in Cuba! 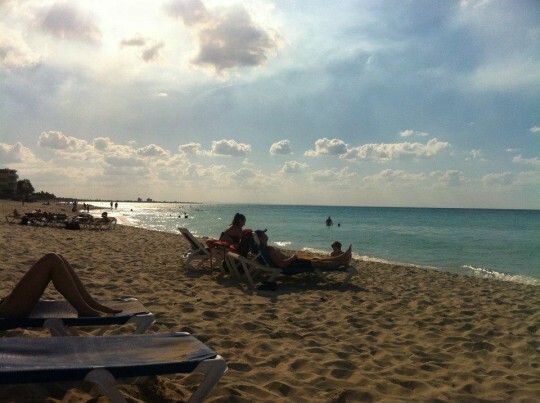 The following story is a guest post from my friend Eliza, who spent some time studying overseas, here’s what she experienced while at Spring break in Cuba this year, enjoy! 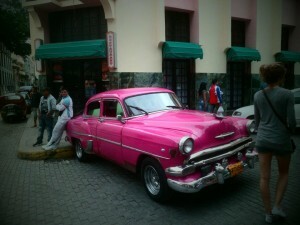 If I had to describe Cuba in 4 words they would be Communism, Cars, Cigars and Rum. As I’m writing for all of you Rum enthusiasts I’ll try to stick to that topic! Well, what can I say? 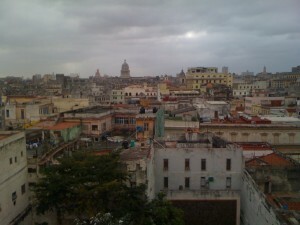 I went to Cuba for Spring break with two words in mind; beaches and cocktails. I had very little knowledge about the country and the effects of the communist regime that shaped the Cuban culture of today. Not to say I ever felt endangered of having to surrender all of my belongings to the State; but I did gain a sense of the suppression & somewhat empty motivation to change as a society. Nevertheless, the absence of 20th Century materialism was refreshing. Its no wonder the Cuban people immerse themselves with family, friends and simple pleasures in life, like puffing on a fine cigar and sipping on rum based cocktails as the sun goes down. 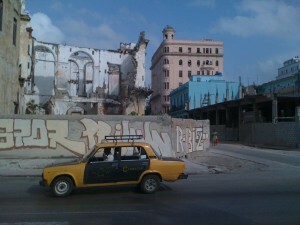 Havana is the place to visit if you ever travel to Cuba; it is incredible. The architecture looks as though time just stood still in the 50’s and sadly but realistically it pretty much did. Due to such high levels of poverty they are unable to afford to renovate the old buildings so over the years most have become dilapidated and some uninhabitable to my dismay. 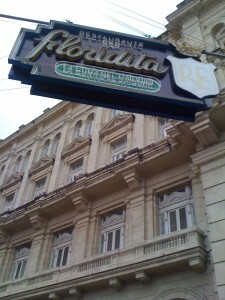 Havana (locally known as Habana Veija) is also home to the one and only El Floridita, where the Daiquiri was apparently invented. As my friends and I were on student budgets we couldn’t afford to pay equivalent $20 for a single daiquiri. Luckily for us though, we made friends with some jolly (yet slightly creepy) locals outside of the bank who let us in on a local secret. Three doors down and away from the main street is another bar; albeit not so classy but you get much more bang for your buck! And I can vouch for that. Best daiquiri I’ve tasted! Plus for an added bonus, they had salsa dancing! Unfortunately, I’ve forgotten the name (few too many daiquiris I think) but every adventure is different so I suggest talking to the locals and finding out the best places to go from the best people that know. 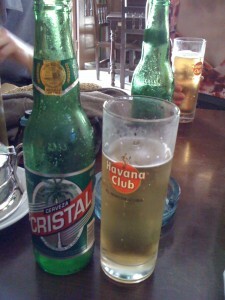 The most interesting rum drink I tried in Cuba was at a microbrewery located in Havana called Factoria Plaza Vieja. 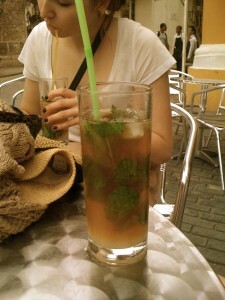 The drink consisted of half a mojito and half a home-made beer, in a tall glass over ice (see picture). I can’t say I’ll be rushing to try making one of those at home but it’s a must do when in Cuba! The most popular rum drank throughout Cuba is Havana Club. And for only $1.50 equivalent per 750ml bottle who wouldn’t want to bring as much as they can home! Unfortunately, there’s approximately a 2-liter limit so try to make the most of it while you’re there. If you have a chance to drive around Cuba you’ll see the effects that the sugar cane plantations had on the once beautiful rainforest. As you probably already know rum is made from sugar cane and it was one of Cuba’s main exports until other countries began producing it for less. Although the Havana Club factory looks abandoned and falling down from the outside they do still produce rum and they also run tours, which I highly recommend. 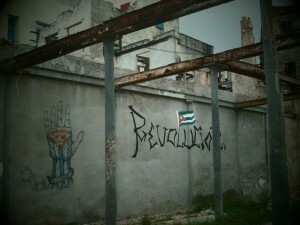 All in all, Cuba was awesome! Just the right mix of cultural experiences, beautiful beaches and delicious cocktails that all rum enthusiasts and the like should experience at least once in a lifetime! Well it was earlier this year she was there Sam – hopefully it hasn’t gone up! 🙂 Cheaper than Ouzo in Ios!